Have you seen who’s in the latest Peak Advertiser? Welcome back! Hope you all had a good half term. Can you guess what this little fellow is doing? 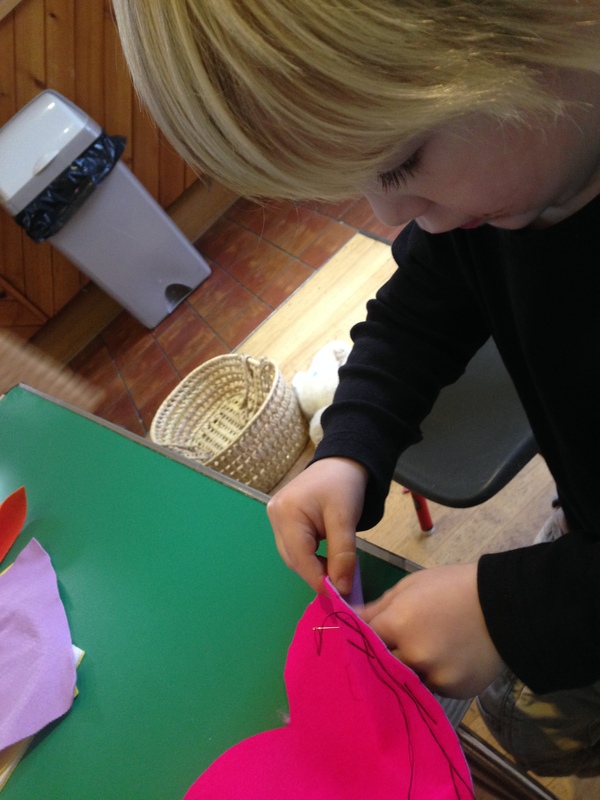 Answer: he’s sewing a Valentine’s day heart for his family – all by himself. This is just one of the fantastic crafts that the children have had a taste of recently at pre-school. We’ve also had wool-felted pebbles and walnut shell boats recently – but according to Becca, our Supervisor, it’s more about giving the children opportunities to try new things and build their confidence than about what they bring home. Still, it was fun watching my lot sail the walnut boat in a bubbly bath the other night! 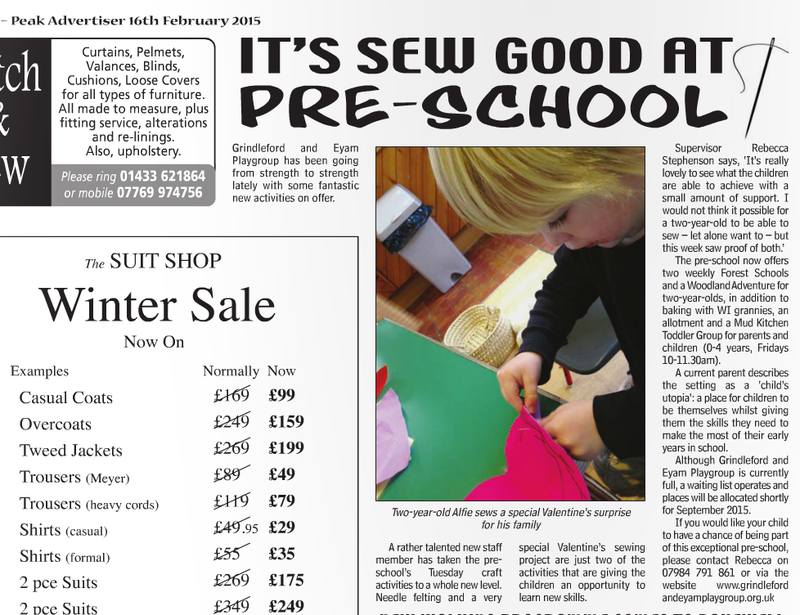 As the Peak Advertiser article below mentions, the pre-school is now full for the rest of the academic year. If you’re thinking about September 2015, pop your name down on the list as soon as possible by contacting Becca on 07842 095402. We will be allocating places after Easter. And watch this space for a glimpse of our new prospectus, out soon. This entry was posted in Uncategorized on February 17, 2015 by mrsjanecampbell.